The Rural Blog: DEA targets opioid abuse in Appalachia with new Louisville office to handle Ky., Tenn., W.Va.
DEA targets opioid abuse in Appalachia with new Louisville office to handle Ky., Tenn., W.Va. The U.S. Drug Enforcement Administration is targeting the opioid epidemic in Appalachia by establishing a new field office in Louisville on Jan. 1. 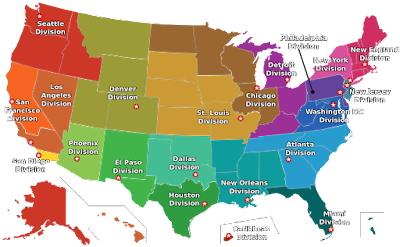 Louisville already has a district office, one of 222 across the country, but it and the rest of Kentucky were part of the Detroit division, while West Virginia was part of the Washington, D.C., division and Tennessee was part of the Atlanta division. DEA hopes a field office for the three states will better organize efforts to tackle a crisis that has hit Appalachia particularly hard. "The Appalachian region has been ground zero for the opioid problem in recent years," Dylan Lovan notes for The Associated Press. "Overdose deaths were 65 percent higher among people in Appalachia than in the rest of the country in 2015, a recent Appalachian Regional Commission study found. The study, Appalachian Diseases of Despair, reported that nearly 70 percent of the overdose deaths in the Appalachian region in 2015 were caused by opioids. West Virginia had the highest opioid overdose mortality rates with 52.8 deaths per 100,000 people." Attorney General Jeff Sessions said at a Nov. 29 press conference that this is the first restructuring of DEA's field offices since the creation of the El Paso Division in 1998. The Louisville office will have 150 positions with 90 special agents in the three states. D. Christopher Evans, an associate agent who helps lead the Detroit field office, will lead the Louisville office. Louisville isn't even in the Appalachian area. How does this make sense? This is essentially an upgrading of the existing office in Louisville, which is at the next notch on the hierarchy.